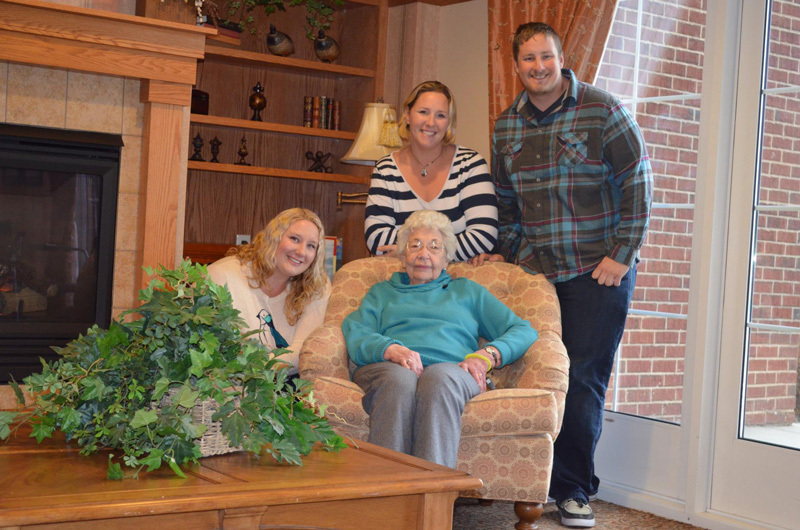 This weekend, I had the honor of flying to Minnesota for a quick weekend visit to see my grandmother. My brother and sister had planned this trip for months before, and while on the phone with my sister two weeks before they were to go, I wistfully said I wished I was going. After some gentle coercing from my sister and brother, I had a plane ticket booked from LAX to Minneapolis. However, I was a surprise for my grandma! Nobody knew I was going, and we had some very excited relatives to see upon my arrival. While describing family relations, my grandma mentioned Olga, my grandpa’s brother’s sister-in-law. Olga wasn’t remembered for her charitable contributions to society, or the way she made a mean biscuit. Olga was remembered for being “a big lady”. If Olga was an ounce, she was 300 pounds. In fact, she was so big, that she had to have a custom casket made, and the pallbearers had to hold it from the bottom instead of the sides, so she didn’t bust through the bottom. I was horrified. None of this was being mentioned in a patronizing or rude way, but simply as a matter of fact. This is the sad side of obesity. If my body continues to go rogue and my actions don’t fight it, could I be remembered as the person who needed a custom casket? Nope. I won’t allow it. Have you ever experienced someone being remembered in a less than positive light, for the way they looked or something that happened to them? What was your reaction? 1) Set the cast iron pan on medium. 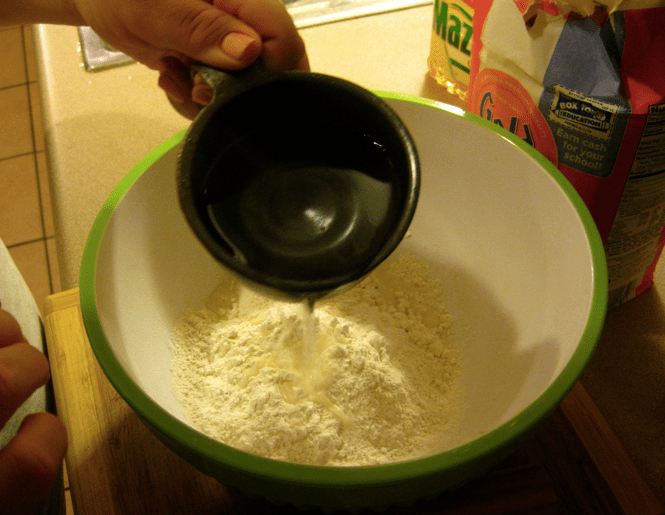 2) Put two cups of the self rising flour into a large mixing bowl. 3) Slowly add a cup of hot water, mixing the water into the dough as you go. SLOWWWWWWLY. If you get excited and dump it all in, you’re going to have a mucky, floury mess that doesn’t mix well. 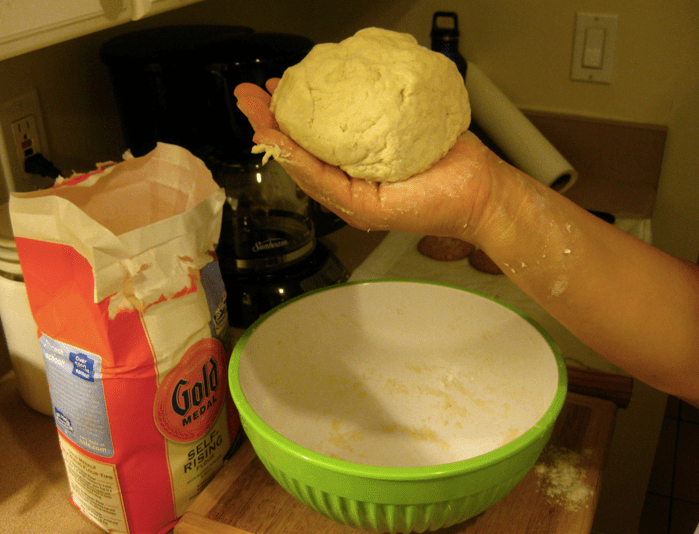 4) Keep mixing with your hands until the dough feels like bread dough – soft and pokey and mostly together, like this. 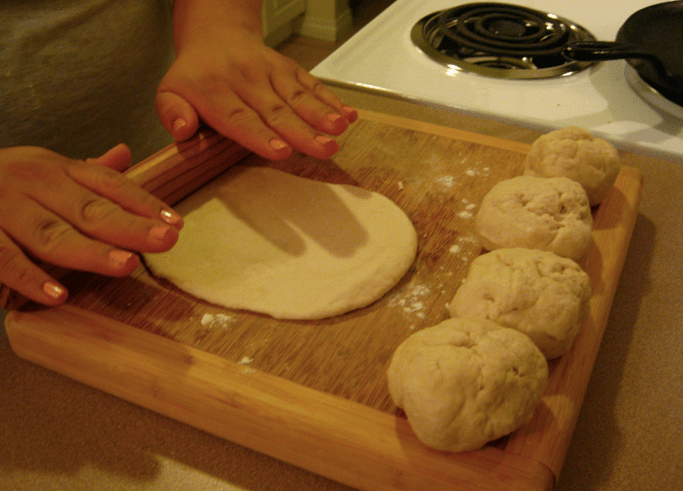 5) Once you’ve made a well-formed ball, press your thumb into the center of the dough ball to make an indentation. Pour the 3/4 capful of oil into this hole, and leave the dough to rise for five minutes. 6) Waited your five minutes? Good. Now, knead the dough again with your hands, making sure the oil is well mixed into the dough. Separate the dough into 5 separate lumps on a lightly floured cutting board. 7) Using your rolling pin or pelote, roll the ball upward once, then downward once. Roll from side to side until the tortilla is quite thin. 8) Throw it on the hot pan. It will bubble up immediately. Don’t be alarmed if you smell smoke, that’s normal. 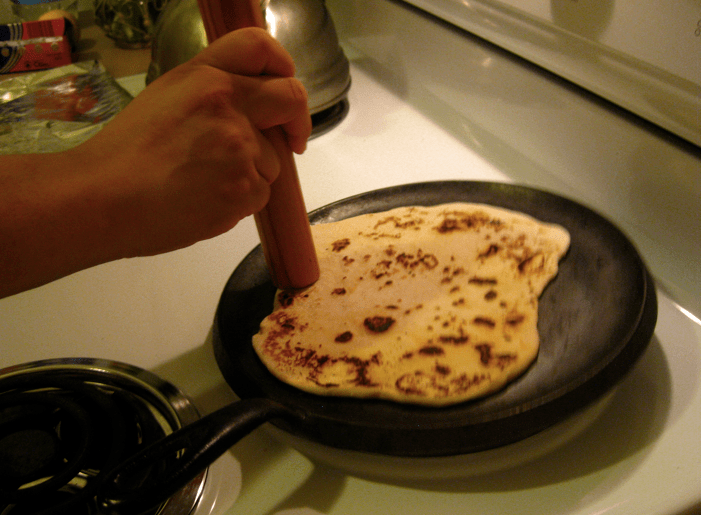 Using your fingers (‘cmon – be daring), flip the tortilla over on to the other side. The tortilla is done when it looks like a tortilla. Don’t over cook or it will be hard and yucky. This may take some time to get right, so don’t cry if your tortilla crisps up like a critter on the fourth of July. Brown and bubbly and delicious! 9) Wrap the tortilla in the dish towel and place it inside the ziplock bag while you cook your other tortillas. You want them to stay steamy and warm inside. 10) Serve with other yummy things. 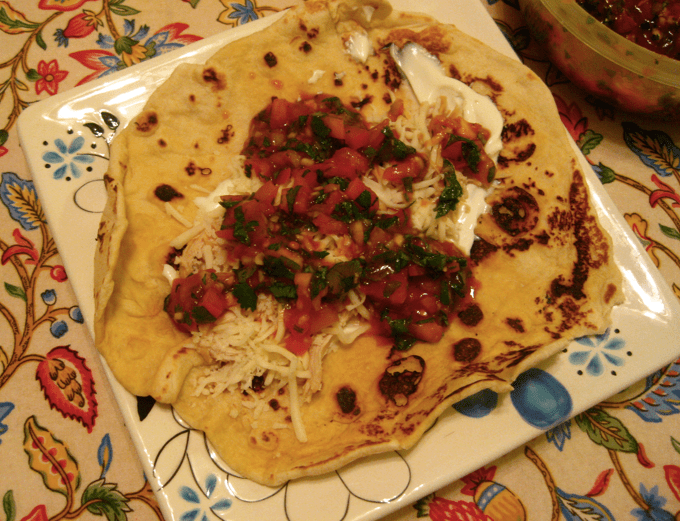 We did shredded rotisserie chicken, el pato salsa with tomato, onion and cilantro, cheese and fresh cabbage. SUPER YUM!!! 11) Enjoy fat food coma and unbutton jeans. You did it! My sister’s visit to Los Angeles meant many things – but among the most important was that we exercise with Richard Simmons! Richard offers classes to the public for $12 at his Beverly Hills Slimmons Studio. The theme on Saturday was MoTown, and as we grooved to “I heard it through the grape vine” and “Twist and Shout”, Richard proved to be his usual enigmatic self and flitted around in his spangled, sequined top. Richard, Me and April - We're homies! After a couple of weeks of not exercising slacking off, I was ready for the worst. And while prancing around for an hour and a half was not the EASIEST thing, it was fun, and at the end my body was painfully sore but grateful for a good workout. Halfway through the class my sister got called out to dance in the circle with Richard! It was fun to see her getting her groove on with Simmons and his famous ‘fro. One thing I love about Richard Simmons is that he BELIEVES what he’s teaching. While he’s screaming his dirty jokes and simultaneous words of praise, you know he’s doing it for you. He’s not doing it for the paycheck, he’s not doing it for his ego. He’s doing it because he genuinely cares about your health and wants you to be the best you can be. I did my normal boxing class last night, and while it was a good workout, it was just nowhere near as FUN as class with Richard is. 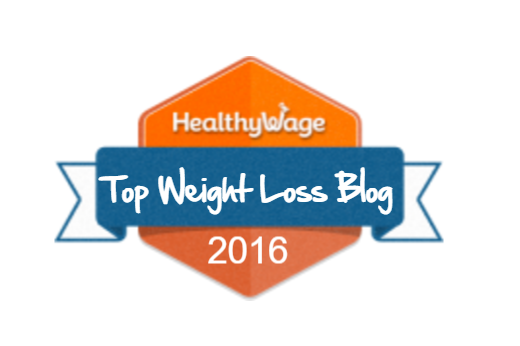 Exercise that’s fun is so much more easy to do! If only I could go twice a week! What do you think – if you came to Los Angeles, would you want to sweat with Richard Simmons?